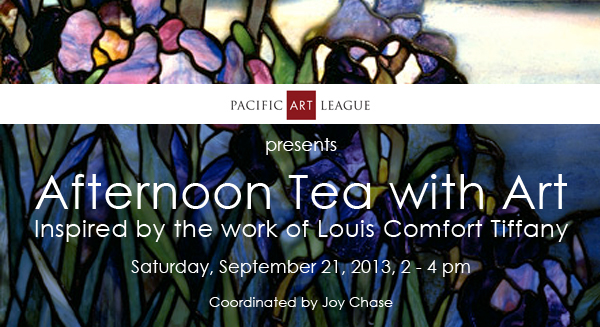 Join us Saturday, September 21st for an educational, creative, and delicious afternoon tea celebrating the work of Louis Comfort Tiffany! The afternoon tea will begin with a short lecture on the work of Louis Comfort Tiffany by sculptor and educator Jo Killen followed by an opportunity to make your own "stained glass" collage with PAL instructor Linda Winterbotham. Tea, coffee, snacks and champagne will be served.